Vote to Send Lola to the North Pole. 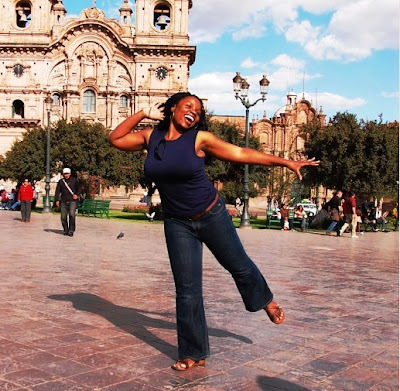 Lola Akinmade is one of the most dedicated and involved travel writers to frequent our neck of the woods. At the moment Lola is competing for a chance to win a $54,000 expedition to the North Pole from Quark Expeditions. We’re asking for everyone’s vote and help in spreading the word. 2. Create a register to vote, or login using your facebook account. 3. Click on “Vote For This Entry” to send our Lola to the North Pole! For obvious reasons, Lola’s beautiful short essay titled “Homecoming: A Childhood Dream” is currently in second place. She’s an amazing writer and photographer, so I know she will do us proud when she wins this opportunity. Lola is currently in 2nd place and the top 5 essays qualify to go on to the final judging round, so every vote counts. Let’s see if we can get her to number one!